Relatives break down after last phone call of murder victim played in court. Nazareth District Court this morning heard the chilling last phone call made by Israeli murder victim Shelly Dadon, just moments before she was brutally murdered earlier this year. Relatives of Danon wept as the recording was heard for the first time during the trial of taxi driver Hussein Khalifa, who stands accused of stabbing the 20-year-old to death in the back of his own taxi. The following is the transcript of the brief call made by Dadon to her cousin, Tal Peretz. Dadon: Hello. What's up? Is everything OK? Where are you? Peretz: I'm just walking - I'll call you back soon. Peretz: When did you leave? At that point noises which sound like someone being choked can be heard, and the call eventually cuts off. Prosecution say that this was the moment Khalifa attacked his victim, first strangling her before stabbing her 17 times. Superintendent Eyal Harari, who led the interrogation of chief suspect Khalifa, told the court Dadon had tried to keep her cousin on the line. The footage was played to prove that Dadon did indeed get into the taxi, as she traveled from her home in Afula to a job interview. 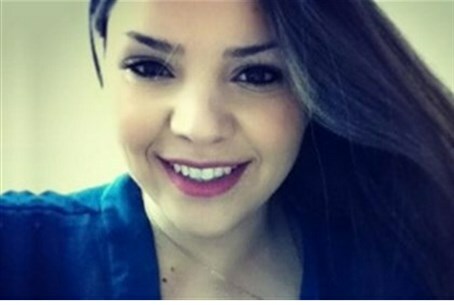 After discovering she had never made it to the interview her parents contacted police, who found Dadon's body in an abandoned Migdal Haemek parking lot on May 1. After initially confessing and even reenacting the crime for investigators, Khalifa recently withdrew his confession, claiming it was made under duress. The defense team has infuriated the victim's relatives by counter-claiming that Dadon never made it to the taxi, but was killed by her own father. Harari told the court that a trail of evidence had eventually led them to Khalifa - including suspicious ATM withdrawals using Dadon's credit card, security camera footage and testimony from a bus driver who drove Dadon part of the journey from Afula. Five youths were arrested in connection to the suspicious credit card purchases but were released after police could establish no link between them and Dadon herself. Northern District Prosecutor Ilana Yerushalmi told the court that during his confession Khalifa had revealed to police several details about the murder which investigators had not previously been aware of - proving beyond a shadow of a doubt that he was indeed the killer. Sunday morning's court session had promised to be a tense one following Khalifa's decision to retract his confession. Anger from the victim's family boiled over even before proceedings began, with one relative physically attacking the father of the accused. According to the indictment filed against Khalifa, he "showed no mercy" on the 20 year old, whom he stabbed dozens of times for "nationalistic motivations." Khalifa confessed to the murder in July, after an extensive interrogation from the Israel Security Agency (ISA or Shin Bet). He then fled the scene, discarding the murder weapon and Dadon's cell phone after dumping the body near the murder site. He later washed the bloodstains from his cab and threw Dadon's wallet on the side of the road near the Arab village of Beit Zarzir.